"Used for F1 events between 1969 and 1975 Montjuich was one of the most challenging circuits on the F1 calendar. Using public roads in Barcelona Spain this is a street circuit in the same style as Monaco but with fast sweeping turns and higher top speeds. There were some serious accidents including one in 1969 involving Rindt and Hill where both cars were destroyed. But the most serious was in 1975 when a car left the track at high speed and crashed into a spectator area resulting in fatalities. This was the last straw for Montjuich and F1 cars no longer visited this track." 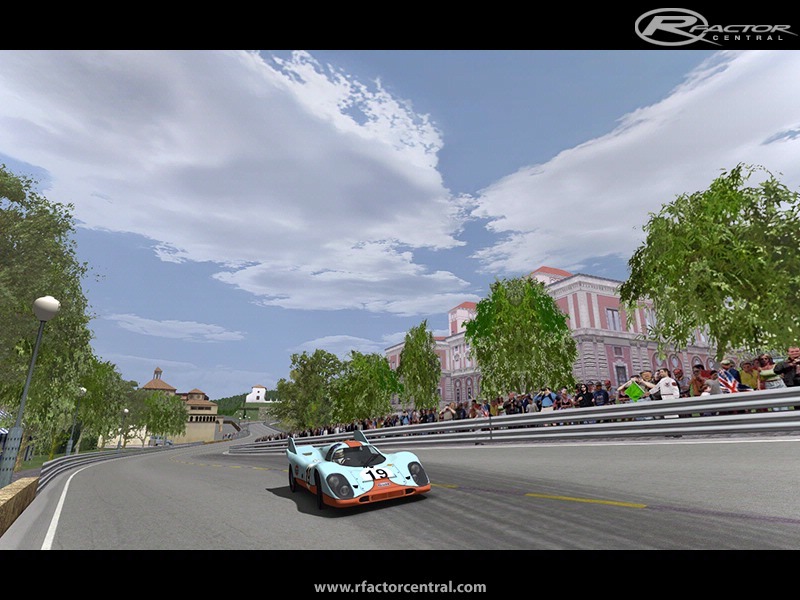 This version for rFactor is based on the GPL reprensentation as it was in 1969. apart from adding Static marshals,animated flags ..made and added 3d lamps based on photos of the real street lamps still there today, reworked the track for use in later formats, making sure the bends were smooth mainly keeping the apperance of the great work of the original by the GPL team, so some retexturing and remapped of parts were done to represent the look of GPL version of the track, some updates like working night lights may possibly be included in a future update.. the present cam file looks like a tweaked version of the one from the F1challenge version back in the latter part of 06/early07, but apologise if its one sent to me ages ago and I have not credited them..
Just as in Paul wrote in a recent email (part included). hope you have fun and enjoy this track. 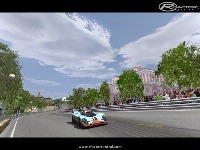 There are currently no setups for Montjuich. Add a Setup.